We just celebrated our son’s second Birthday. It was a small event, but it was all that we needed. There was food, toys, crafts and all the kids that attended where completely engaged. We didn’t go over the top with a theme, decorations or food, like all of the Pins that you can find on Pinterest, or a magnificent spread that would have impressed the Beckham’s, had they been invited. We served pizza, fruits & veggies, some snack foods, juice boxes and water. The masterpiece of the event was the cake made by Sugar’n’Spice & Everything Iced. 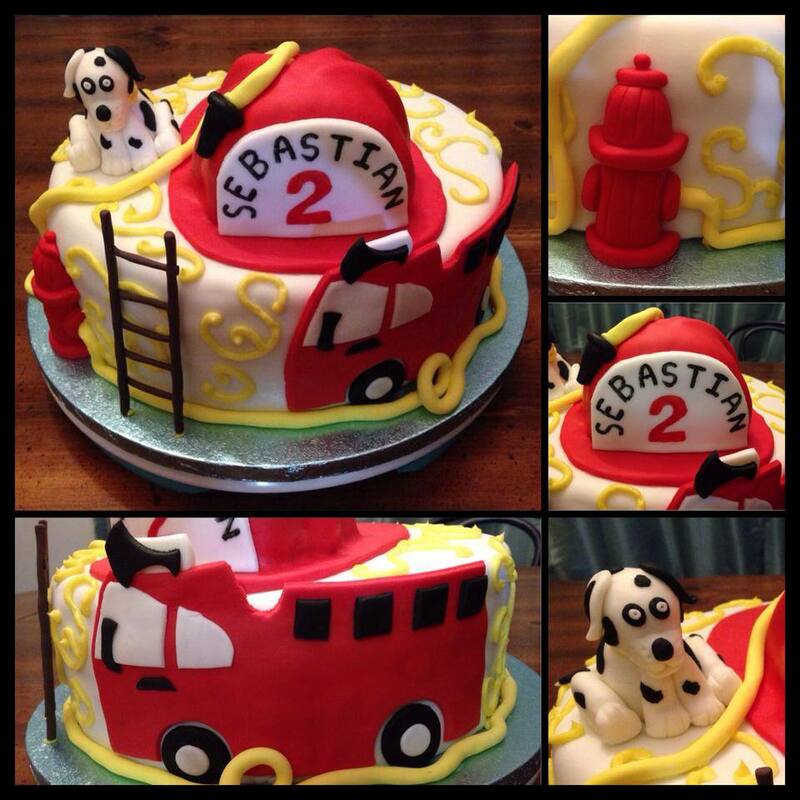 What a gorgeous cake! And it was so moist and flavourful too! The party was only for two hours, but that’s all kids need before they start to get tired and grumpy. 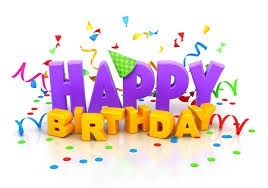 Up next will be our daughter’s fifth Birthday Party in October. This one will have an older group of kids, but keeping them entertained and fed is still paramount, we just need to make it more age appropriate. 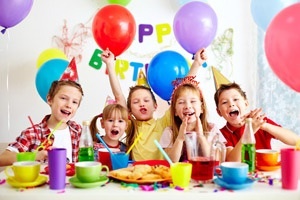 How do you find planning your children’s parties? Do you go over the top with planning, decor and food or do you go with the flow and keep costs down by being more simple and frugal? Never around when you’re looking for something specific, or filling up your mailbox. A pain when it comes to comparing between stores. Better used to line a pets cage. Or something you use to start a campfire or fireplace. Either way, they are wasteful and contributing to the tree shortage and global warming. Flipp is a FREE digital flyer app, that brings flyers into the digital age and allows users to browse through hundreds of digital flyers from all of their favourite retailers through their mobile devices. 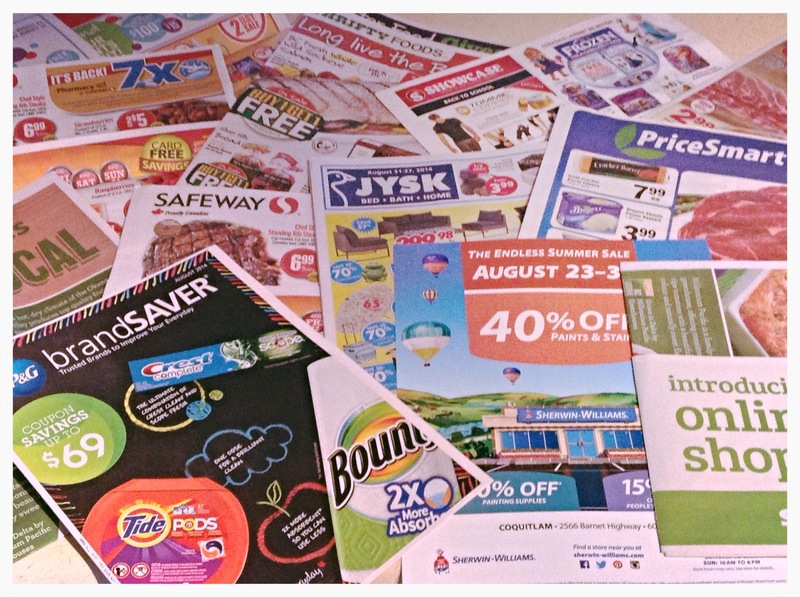 No more coupon clipping! This is definitely UBER AWSOME! When it comes to shopping for my family, I need to save money and time. 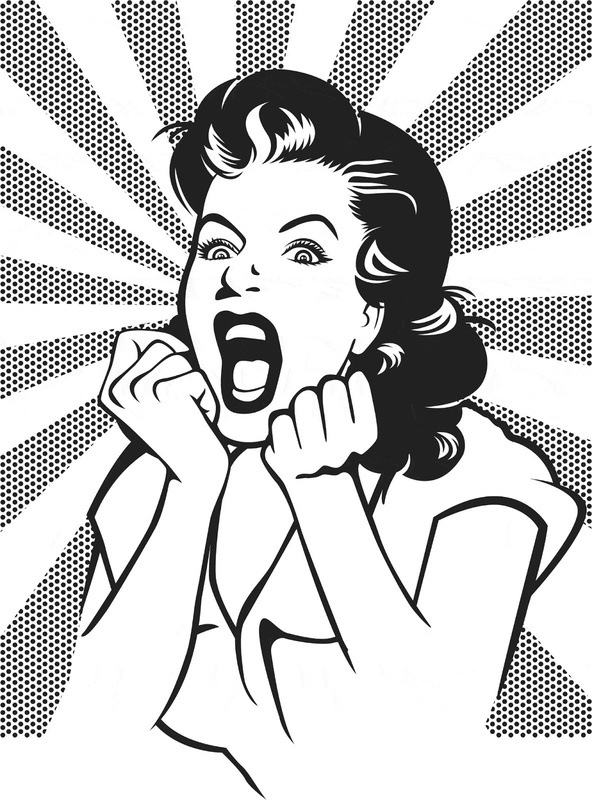 So, if I can compare flyers digitally between different retailers, I don’t have to wait for a flyer to arrive at my door, leaf through the pile, potentially miss out on something if a particular flyer doesn’t arrive and be able to plan my outing efficiently. 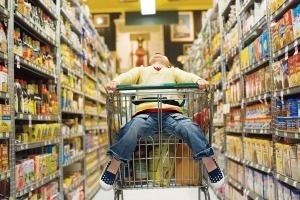 Parents know that shopping efficiently is a HUGE feat when shopping with children! Shopping solo is a completely different story, we like to take as long as possible if it means some peaceful alone time. Check out Flipp, download the app to your mobile device and never be without a flyer again when you’re out and about. Our daughter starts Kindergarten this Fall. We had the orientation back in June and they sent us home with the “shopping list” of all the gear that she’ll need once the school year begins. There is a lot of stuff that we need to get and we are supposed to put her name on everything. Her shoes (indoor & outdoor), her rain clothes, her lunchbag (and all the containers inside), her gym strip and bag, her back pack, and all of her supplies (including each and every crayon, marker, and pencil crayon). 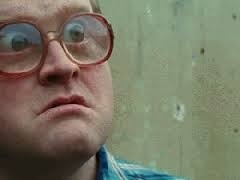 When I was in school, my name didn’t appear on anything. But if it was required, the good ol’ trusty black permanent marker was pulled out and my name was printed clearly in bold, black letters so everyone knew that it was mine. But even then, my identity could be erased with a single stroke from another black marker to make it belong to someone else. Tired of losing kid’s stuff? Uber-durable stickers and tags – customized with your name and an optional phone number – to make sure your important belongings are returned to you. 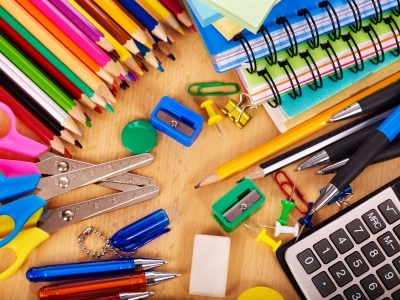 Great for toys, clothing and coat tags, school supplies, bags and totes, containers, water bottles, electronics, sports gear, and more! Dishwasher and washing machine safe when applied to any clean, dry solid surface, or care tags on clothing and soft toys. Just in time for back to school, Safety Tat has generously provided Raincity Parent a Camp Combo of Anywhere Labels to giveaway to one lucky reader! The giveaway runs from August 22nd-31st, 2014 and is open to residents of Canada & the US only. Enter via the Rafflecopter link below. When I was a kid, my Mum would lay out in the sun for hours, baking herself until she reached her favourite tone of bronze. There was a bottle of sunscreen in the cupboard for us kids, but I’m pretty sure it remained full for my entire childhood. I recall the smell of Coppertone, but for the life of me, I don’t remember EVER using it. 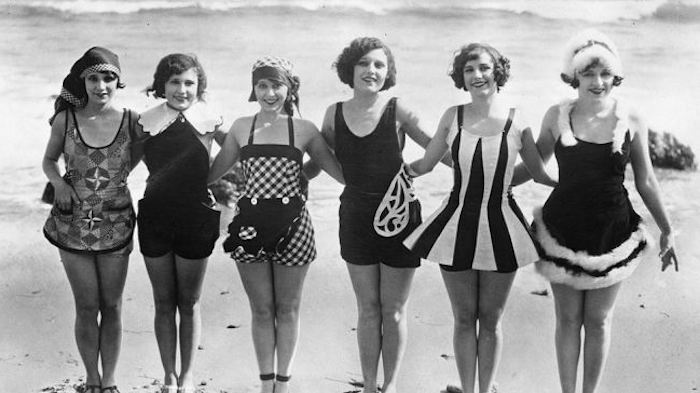 A sunburn was always considered “the base” of our summer tan, so we just went out, got a burn and once it had turned brown, we were good to go for the rest of the Summer. Flash forward a million years and two kids of my own added to the world, I wouldn’t dare go out in the sun without sunscreen now! The most important thing that I’ve put on my skin this season, is sunscreen. With so much being talked about in the news on the increase of skin Cancer, especially in the younger generation, I definitely slather the good stuff on myself, and most importantly, my kiddos. 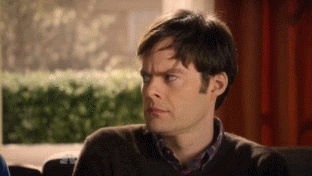 I’ve even started using a moisturizer with sunscreen on my face. Something I’ve never done in the past because I wore makeup daily that contained an SPF in it. Now that I’m a stay-at-home-Mom with little or no time to get myself ready in the morning, and let’s face it, who really wants to wear makeup when it’s hot and muggy out, only to have it melt part way through your day, a moisturizer with a built in sunscreen is all I need now. Cloud Vitamin Cream is more than a sunscreen, it is a SUPER CREAM in my eyes! It contains Retinyl Palmitate, a form of Vitamin A found naturally and in high concentrations in the epidermus of your skin. Created by the award-winning UBC dermatologist Dr. Gordon Telford, Cloud is the first consumer sunscreen to block out the full spectrum of the suns rays, whereas conventional sunscreens only protect from 7% of rays. Studies suggest that it could possibly reverse sun induced aging, smooth the surface of your skin within weeks, permanently reduce sun induced brown spots, stimulate collagen growth to reduce fine lines and wrinkles, and tighten loose skin. Once absorbed, it is virtually waterproof and and it’s powerful sun protecting effects last up to 17 days. 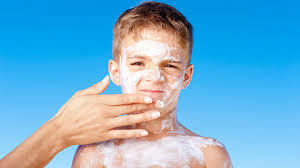 Cloud Vitamin Cream is safe to use on children because it contains no preservatives, fragrances or parabens. If you would like to purchase Cloud Vitamin Creams for yourself, visit their website: cloudvitamincream.com. Cloud has generously provided Raincity Parent with a Summer Bundle to giveaway to one lucky reader! 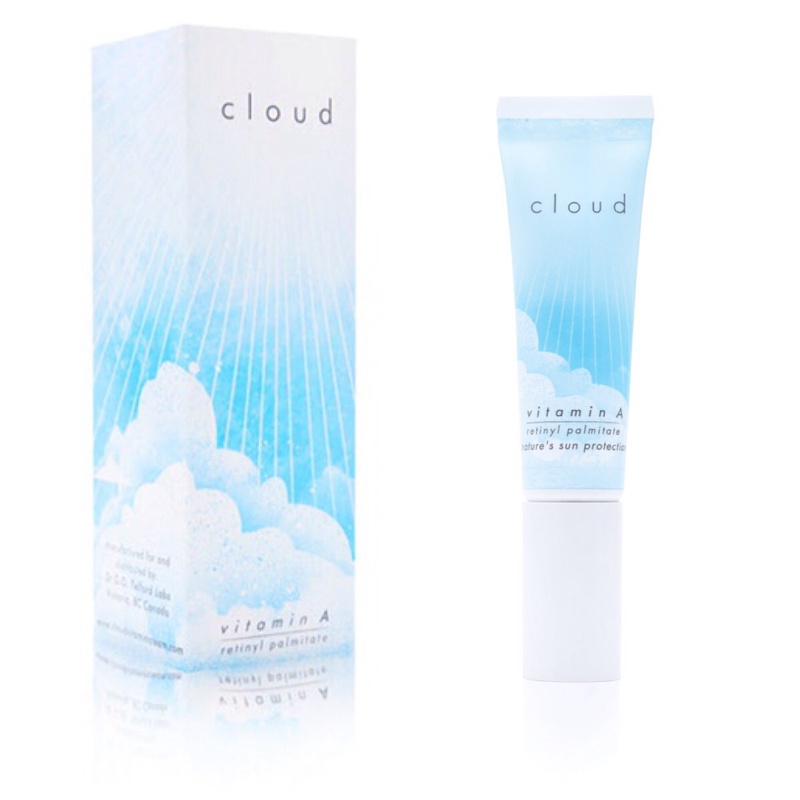 The bundle contains a sample of Cloud Vitamin A cream and a handy Cloud beach mat, perfect for sunny days. This giveaway runs from August 19th-26th, 2014 and is open to Canadian residents only. Please enter via the Rafflecopter link below. Growing up on the North Shore of Vancouver, I was lucky to have some amazing natural attractions in my own backyard. The mountains, lakes, beaches, trails and a couple of suspension bridges to help us see Nature’s beauty from normally unattainable angles. 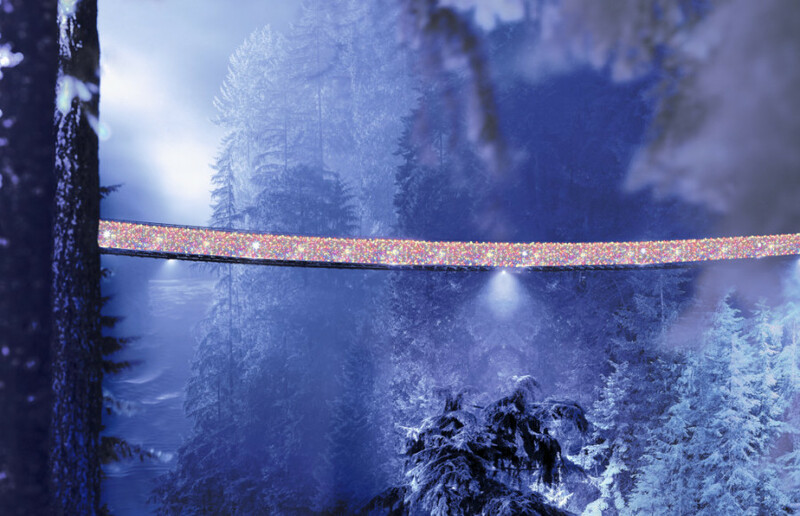 The Capilano Suspension Bridge is one of these bridges. Originally built in 1889 by George Grant Mackay, the Capilano Suspension Bridge is well known, attracting visitors from around the world. 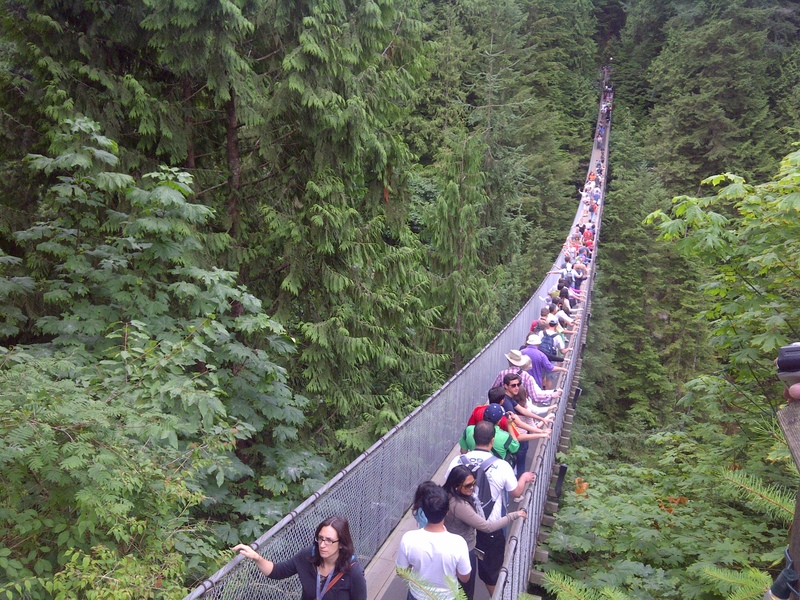 I must admit, I had never been across the Capilano Suspension Bridge. Wowsers, what an amazing experience! Why had I waited so long to do this? I took our two weelets out the other day to check it our for ourselves. 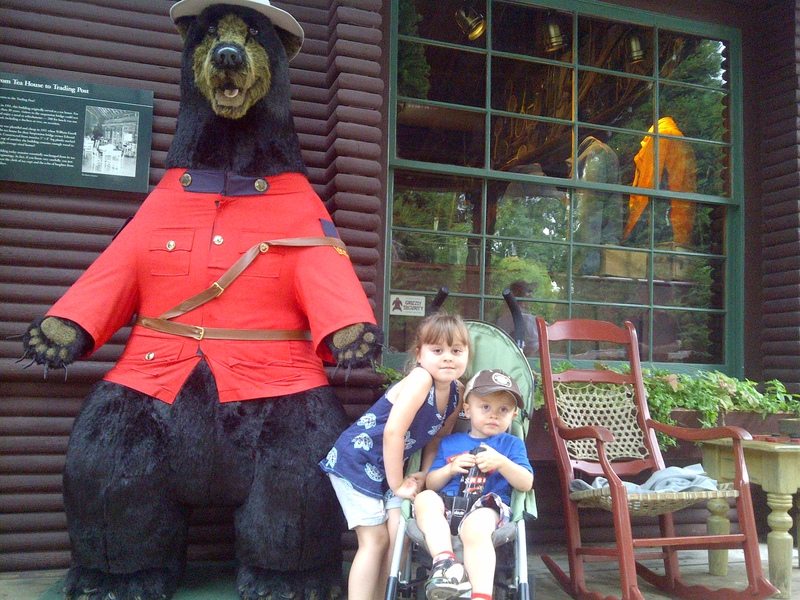 When you enter the park, the Story Centre takes you back in time explaining the history of the Capilano Suspension Bridge. 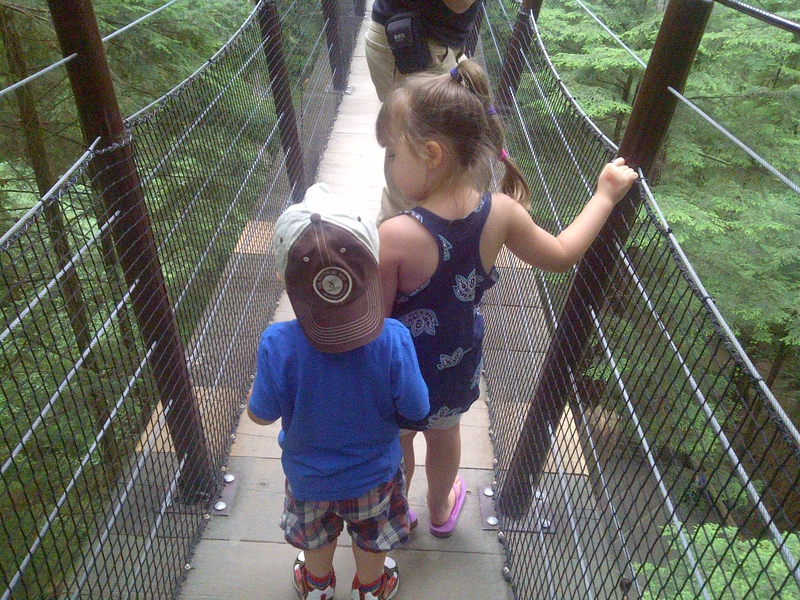 Strollers aren’t allowed across the bridge, so I called on my Super Mom strength to get us across, twice, while holding their hands, as the bridge swang to and fro and bounced at each step taken by the many visitors crossing the canyon as well. 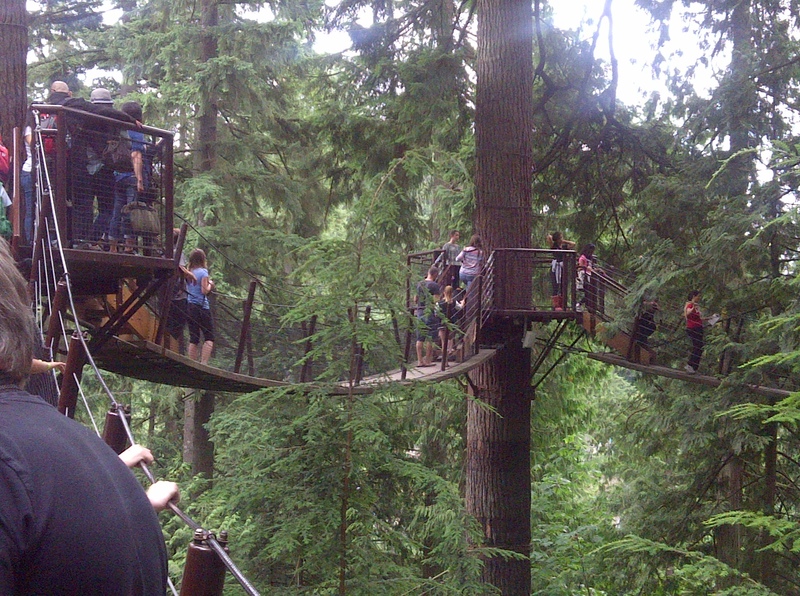 Once across, we headed over to the Treetops Adventure. I followed the mites as they climbed the stairs behind a tour group. No problem. They both blazed across the bridges linking the trees and scooched between legs to get through to the next one. FYI, small children move quickly and running after them on bouncy bridges is not as fun as you may think. When we were safely on the ground, my offspring decided to race along the path to Raptor Ridge where we briefly looked at the owl and hawk that were on display in the pens. Then they blazed along the scenic boardwalk that rimmed the canyon as I chased the little Dude to keep him from getting too far ahead and climbing on the fences. 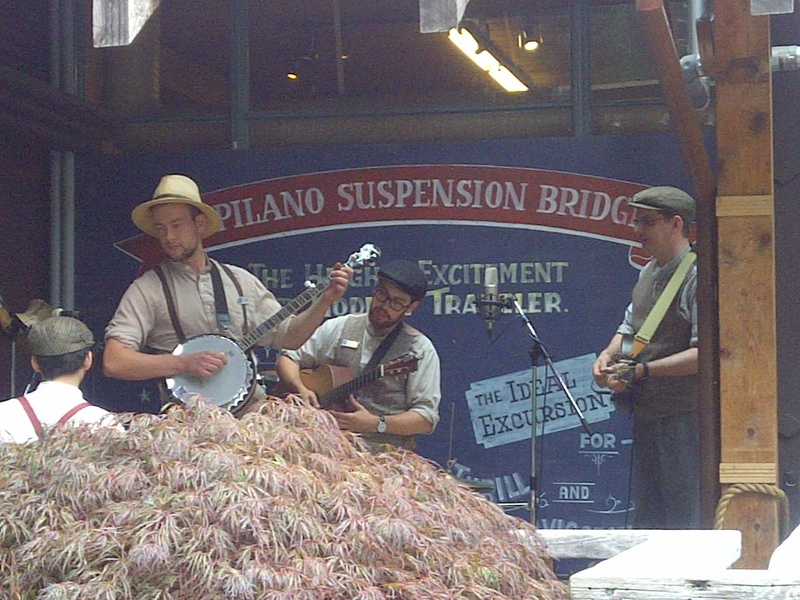 We crossed back over the canyon, and were treated to music coming from the Trading Post deck. We popped inside, had a browse around and made a few small purchases. They have a great assortment of maple syrup and treats, as well as some pretty nice clothing that is quintessentially Canadian. We were unable to venture out on the Cliffwalk as nap time was fast approaching, there was quite a lineup and the wee lad was becoming a handful. But we had a fantastic time and will definitely come back for a visit! 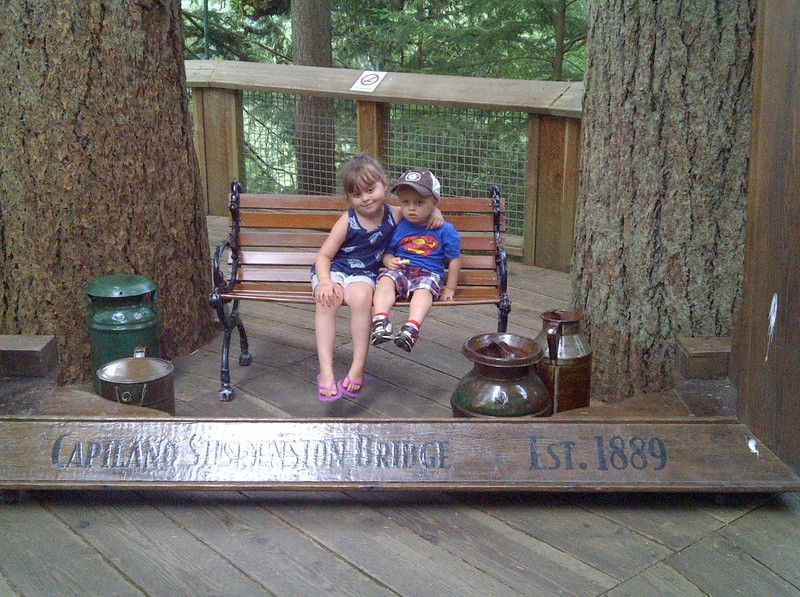 The Capilano Suspension Bridge is a great local attraction! 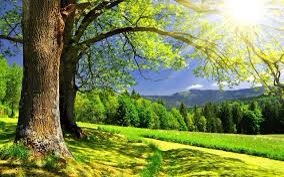 You’ll be pleased with the scenery and amazed at what Nature has to offer. Be sure to pay them a visit during the Christmas Season to check out Canyon Lights. It’s a spectacular sight! (*BC Residents Annual Passes are available for all age categories as above). 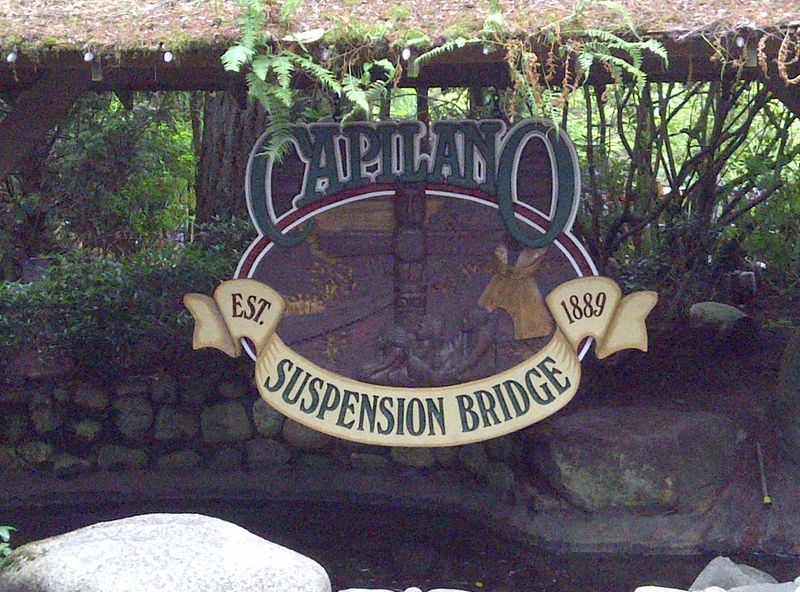 The Capilano Suspension Bridge has generously provided Raincity Parent with 4 passes for admission to giveaway to one lucky reader. The giveaway runs from August 12th-19th, 2014 and is open to residents of British Columbia. Enter via the Rafflecopter link below.